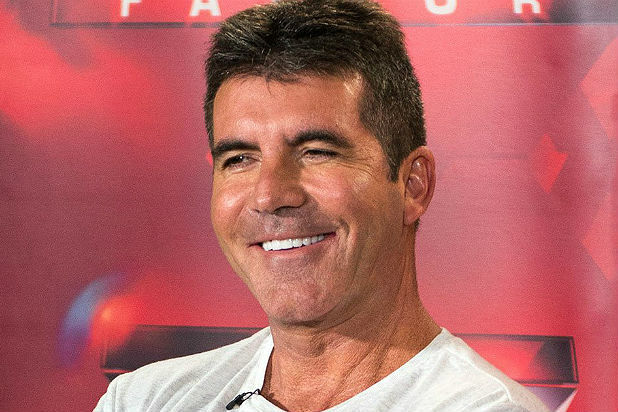 Fox may be looking to get back in bed with Simon Cowell after “American Idol” wraps its 15-season run. An insider close to the network told TheWrap that top brass are considering a reteam with the mega-producer and outspoken former judge after Fox rests the talent competition format for a year. The project would be eyeing a 2017 TV Season launch, according to the insider. A spokesperson for Fox declined to comment. A rep for Cowell’s SYCO Entertainment has not yet returned TheWrap’s request for comment. “Word all over the lot is that they’re going to take a year after ‘Idol,’ let the time slot breathe, and then they’re going with another Cowell reality project,” the individual said. “Idol” came to North America in 2001 via 19 Entertainment and FremantleMedia, who have replicated the successful format all over the world. Fox premiered “American Idol” in 2002, where it’s been a flagship series for the network in good times and bad. Launching in 2011, “X Factor” was positioned as the heir apparent to “Idol,” which itself was grappling with waning audiences. It failed to meet expectations and was cancelled after three seasons. News of the “Idol” end made waves in the entertainment industry and pulled audience heartstrings on social media, instantly becoming a trending topic worldwide. “We really wanted to do it in a way that felt special and celebratory,” said Fox TV Group co-chairman and CEO Gary Newman at the network’s upfront presentation on Monday. Meanwhile, Cowell has set up an online competition show in “Ultimate DJ,” a global electronic music series set to air on Yahoo Live! The winner will be crowned the Ultimate DJ and be offered an opportunity to headline a major Electronic Music festival and a record contract with Ultra Records and Sony Music. "IDOL" SEASON 1 - Kelly Clarkson: The first "Idol" winner is still one of the show''s most successful alums. As of January, she had scored a record 80 Billlboard number ones, sold nearly 12 million albums in the U.S. and sang at President Obama's inauguration. "THE VOICE" CYCLE 1 - Javier Colon: The first "Voice" winner wasn't welcomed by the public like Clarkson. His post-show album, "Come Through for You," has sold less than 50,000 copies, and six months after its release, he and Universal Republic Records parted ways. "IDOL" SEASON 2 - Ruben Studdard: After beating out Clay Aiken in 2003, Studdard's debut album went platinum, and his single "Superstar" earned him a Grammy nom. But his third album performed so poorly he was dropped by his record label, and his fourth and fifth albums performed even worse. "THE VOICE" - CYCLE 2 - Jermaine Paul: Blake Shelton mentored this singer to victory, and his cover of "I Believe I Can Fly," which he sang to win the competition, made it up to No. 83 on the Billboard Hot 100. But his debut album has yet to see release. "IDOL' SEASON 3 - Fantasia Barrino: Fantasia was crowned the same season Jennifer Hudson was eliminated. Her first album went platinum, her second went gold and her third earned her a Grammy. She also starred on Broadway in "The Color Purple" and got her own VH1 reality show, "Fantasia for Real." "THE VOICE" - CYLE 3 - Cassadee Blake Pope: "The Voice's" last winner until the next cycle starts Monday. She has yet to release her first solo record, so it's too early to tell if her voice will find an audience. "IDOL" SEASON 4 - Carrie Underwood: The only Idol to outsell Kelly Clarkson. She's racked up a total of over 14 million albums sold in the U.S. -- all four of which have gone platinum -- six Grammys and 10 County Music Awards. Next, she's Maria von Trapp in NBC's upcoming live "The Sound of Music." "IDOL" SEASON 5 - Taylor Hicks: At 29, Hicks was the oldest "Idol" winner. Now 36, he's had slim record sales but has been on Broadway in "Grease" and is amidst a year-long residency at Bally's in Las Vegas. But it must be frustrating to watch Chris Daughtry, who finished fourth the same season, score two No. 1 albums. "IDOL" SEASON 6 - Jordin Sparks: The last female winner, now just 23 she's sold over 1.2 million albums in the U.S., and though her second album didn't move nearly as many copies as her first, it did result in her first No. 1 single. Her big-screen debut in 2012's "Sparkle" suggested music isn't her only talent, either. "IDOL" SEASON 7 - David Cook: Cook's first album went platinum, but his second -- like so many other Idols' -- didn't have the same draw once released in 2011. "This Loud Morning" has sold less than 150,000 copies in the states. His record label, RCA, did not sign him to make a third album. "IDOL" SEASON 8 - Kris Allen: The singer/songwriter released a couple hit singles, but disappointing album sales may be leading him back to anonymity in the music industry. Like Season 7 winner David Cook, Allen was also dropped by RCA in 2012. "IDOL" SEASON 9 - Lee DeWyze: His first post-"Idol" album "Live It Up" is the lowest-selling debut for any winner to date and was dropped by RCA after just one album. William Hung, the lovable loser who auditioned during season 3, sold more records during his 15 minutes of fame. "IDOL" SEASON 10 - Scotty McCreery: Country crooner McCreery is the top-selling male "Idol" winner behind Studdard. Luckily, country fans still buy music instead of illegally downloading it, so maybe McCreery's 20s will be as memorable as his teens. "IDOL"SEASON 11 - Phillip Phillips: He's off to a great start. His debut album hit the Billboard 200 at No. 4 and has sold 771,000 copies. That's better than Allen's debut, though not even close to Cook's or McCreery's. His singles, the Olympics-featured "Home" and the new "Gone Gone Gone," have gotten regular radio play, and he's opening for John Mayer this summer.